LONG BEACH, CA (Laserfiche)—January 12, 2010—Laserfiche today announced the winners of its annual Run Smarter Awards program, including Spindletop Mental Health Mental Retardation (MHMR) Services in southeast Texas. 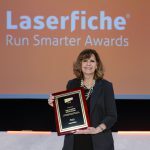 Each year, Laserfiche recognizes organizations that have been successful in solving their most pressing information management challenges through innovative use of Laserfiche technology. 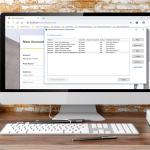 Added document imaging functionality with minimal requirements for installation, support and maintenance. Expanded the amount of content that can be stored online. Provided federated search across content stored in Laserfiche and its SharePoint intranet. Other 2010 Run Smarter winners include: Cambridge Financial Group; California’s Central Contra Costa Sanitary District; Collin County, TX; Elk River Police Department; LaPorte County, IN; Los Angeles County Office of Education; the city of Norfolk, VA; RMS; State of Guerrero, Mexico; Texas A&M University; and the Texas Medical Board.